Continuing from FAQs about Executors and Wills (Pt. 1), below are some more answers to frequently asked questions about the role of executors when it comes to the administration of wills. Whether you have been named as an executor or you need help drafting a will, you can count on the Denver wills attorneys at JR Phillips & Associates. 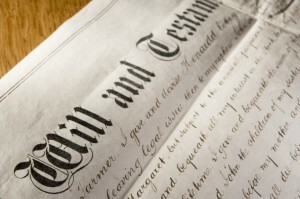 Q: Who can be the executor of a will? The estate planning lawyer who assisted in the drafting of the will. Here, it’s important to note that, if relationships change (like, for instance, if a person ends up going through a divorce), it will be critical that the individual updates his will to ensure that an appropriate person is named as the executor of the will (and to avoid situations such as an ex taking over executor duties – especially if the divorce left the former spouses on less than good terms). Q: What qualities should an executor have? If an executor is less than honest or has problems being able to stay on top of deadlines because (s)he is disorganized, a number problems can arise, and this can result in a substantial portion of assets being paid to creditors (instead of the chosen beneficiaries of a will). Q: Are executors paid for their work in administering wills? Whether there are sufficient resources within the estate to make payments to the executor reasonable or feasible. When you are ready to develop a will or if you need any assistance with estate planning or administering wills, you can turn to the wills and estate planning lawyers at JR Phillips & Associates, PC. We provide a thoughtful, comprehensive approach to our clients’ estate planning, elder law and other legal needs, and we take pride in helping each of our clients and their families find the best solutions for them.